We added to the lock screen, if we taught you yesterday ColorLock, a modification that lock screen colors depending on the music you hear and that is coming soon, today we bring you a tweak that will add options to activate DND from the lock screen of your iPhone. 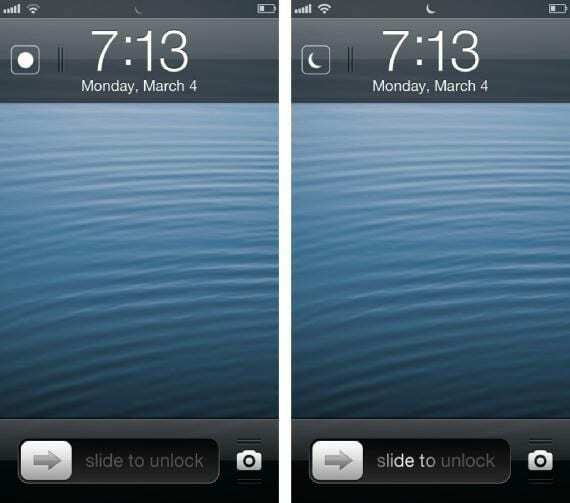 Flusterless add a toggle Do Not Disturb on the lock screen, just to the left of the time. Normally we see the circle icon tucked inside the box, that means that our notifications are enabled, and see a moon almost transparent in the status bar (while iPhone is locked). To activate the Do Not Disturb just have to swipe that icon like a photo with our finger, the icon will change to a moon and another moon of the status bar will turn white and you will see more clearly. I normally I have programmed DND mode, but it is true that sometimes trasnochas erly or not and that time you would have to adapt to you. If you get used to activate and deactivate this toggle will not need programming and avoid being woken notifications when they should not. Article Flusterless: DND active mode from the lock screen (Cydia) was originally published in News iPhone . Hey, i recently jail broke my AT&T iphone 4 with the software 6.0.1. the thing is I can make calls but cant﻿ lock screen while im on the phone. The screen wont shut off and my cheeck presses mute, end, etc. wanted to see what i can do about this problem. Driving me! thanks! Null's Clash APK this is our app provides unlimited gems.